Rex and Mary Campbell have become staples of the MU community since they moved to Columbia in 1958. Photo by Nate Compton. For Rex Campbell, the questions never stop. They appear in his mind with clockwork regularity, urging him to seek out new information — or a new understanding of old information — in a way that belies his 85 years of age. Campbell has spent a total of 68 years either studying or teaching at the University of Missouri. For decades, Rex and Mary Campbell have supported MU and the College of Agriculture, Food and Natural Resources through a variety of philanthropic initiatives, including The Rex and Mary Campbell Scholars program. It is one of the most prestigious and impactful scholarships in CAFNR. An entering freshman with financial need, leadership skills and motivation to serve the public is awarded $5000 a year, which is renewable for three additional years. Several students have benefited from this scholarship since the Campbells began funding it with annual gifts in 2009. The passion the Campbells have for undergraduate education led them to create a lasting legacy by committing their entire estate to the continued support of students, teaching, learning and advising excellence in the form of The Rex and Mary Campbell Institute for Excellence in Teaching and Learning. Announced on April 21, 2016, the institute will provide an early-career faculty mentorship program, workshops focused on evidence-based practices, seminar series on best practices, support for degree programs to engage in curricula redevelopment, and other related resources. The institute will also change over time to meet the changing needs of learning, teaching and advising needs of students and faculty. Their future legacy gift will also permanently endow The Rex and Mary Campbell Scholars program. This will enable CAFNR to award up to 20 scholarships per academic year to cover 50 percent of the cost of in-state tuition. These awards will also be renewable for three additional years. Every day, Campbell reads the same five newspapers. Although he has taught within the department of rural sociology since 1965, he is apt to pick up a book or read a magazine article about something completely unrelated to his area of expertise, such as astronomy, biology or physics. Depending on your perspective, Campbell has either been cursed or blessed with this voracious and compulsive drive to learn, which has propelled his efforts as a professor, administrator, government official and art connoisseur. Based on the overall results of the ideas that surfaced as a result of that unwavering inquisitiveness, though, most members of the MU community and Columbia residents would go with the latter answer. 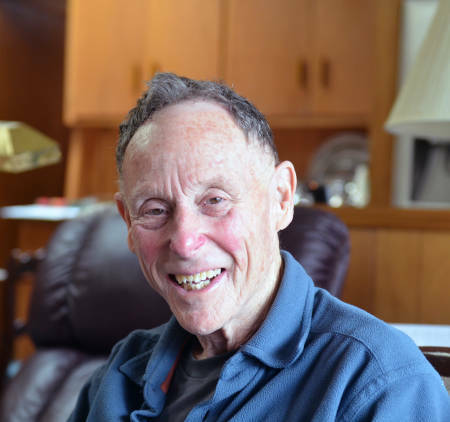 “He oftentimes seemingly came right out of the blue with ideas nobody had thought of or nobody was discussing and so he often contributed brand new ideas to the discussion,” adds Darwin Hindman, who worked with Campbell for many years as the mayor of Columbia from 1995 to 2010. “He’s very knowledgeable and able to speak on almost anything and the thing I always enjoyed about him was that he would cause you to be a more analytical thinker,” says Alisa Warren, a former graduate student of Campbell’s who currently serves as the executive director of the Missouri Commission on Human Rights. During a luncheon at the Reynolds Alumni Center on April 21, a collection of people who know Rex and his wife, Mary, the best took the time to reminisce about many of those ideas and the impact they have had at MU and the surrounding community — and to celebrate their selfless generosity. 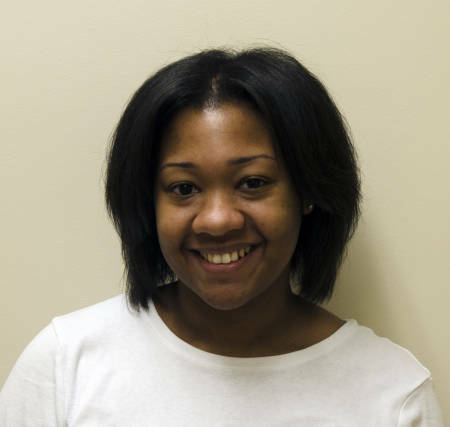 The preceding words came from a thank you note from a former student in Campbell’s rural sociology class last year at the Gaines/Oldham Black Culture Center (GOBCC). The class is entitled, “Leadership in Today’s World.” He has been teaching the class in the same building since it opened up in 1998. Typically Campbell does not keep letters of any kind, but he made an exception for this one, with its bright paper and artistic penmanship. What she found was an all-encompassing class filled with the latest statistics and information relating to the overall socioeconomics of the country by a professor who will not present any PowerPoint slides “when it’s just a leftover.” She had classmates working on degrees in various programs all across campus who felt secure sharing their ideas and contributing to candid conversation on all matters. It turns out that Spears, who has always had as she puts it “uncannily neat” handwriting, runs an online business, Kareracter.com, a graphic design studio that specializes in hand-lettering. The heartfelt reply email she received back from Campbell reaffirmed her decision to expand her business into stationery and other related products. “I really do want to bring back this art because I know about the influence it can have on people,” she says. 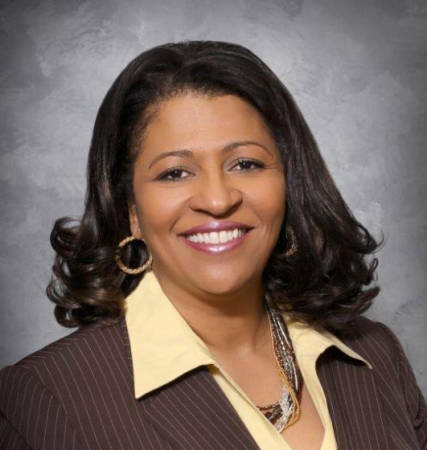 Beginning in 2003, it took Warren seven years to finish her doctoral degree in community development. Being the full-time working mother of three children who was going through a divorce in the middle of her studies, “life happened during that time,” as Warren says. As her advisor, Campbell guided her through the needed classes as she retook initially incomplete classes along the way. “Rex always believed in me. He believed in what I was capable of doing and gave me the strength to go on when I wasn’t sure I could,” says Warren, who regularly gives guest lectures at psychology department classes at MU. She ended up defending her dissertation in the conference room in Read Hall that was named after her mother, Mary McDonald, who taught nutrition and dietetics as the third black professor in MU’s history. Now a days, she does her best to believe in those who work for her in the same way. “I try to share that same personality trait with the people that I interact with because it absolutely, without a doubt, changes the outcome by having that person there to cheer you on,” she says. Rex Campbell was born in the beginning stages of the Great Depression on Jan. 8, 1931, in Jasper, Missouri. The town sits 27 miles northeast of Joplin. His earliest childhood memory from the early 1930s consists of him going on a horse-drawn wagon to a river mill to ground wheat that his family had grown into flour. His parents, who were subsistence farmers by trade, grew wheat and other small grains along with cattle and dairy cows. “If we didn’t grow it, we didn’t eat it,” he says. Rex Campbell can often be found at his desk, soaking up new information on a variety of topics. Photo by Nate Compton. When he was in fifth grade, life for him and his three older brothers and one sister turned into a nomadic existence, as his family moved from gravel-road locale to locale around the Kansas City area. He spent his high school years in a total of three high schools, bookmarked by years in Lamar (Missouri) High School. When he arrived at MU in the late 1940s, he arrived with the notion of being a dairy science major, but eventually decided to pursue a path to be an extension agent. While a freshman, Campbell was assigned to a dormitory, which used to be located where the School of Medicine now sits, with two psychology graduate students. “They were required, as part of their master’s program, to run a complete intellectual inventory of somebody and I was the pigeon who happened to be very conveniently available, so they would run every test they could find on me,” Campbell recalls. Through the series of IQ tests and similar intellectual probes, the scholar started to realize his possible future in academia. “What they didn’t ask me, the Army did,” says Campbell, who enrolled shortly after graduating from MU with his B.S. in agricultural extension, after hearing that his draft number was more than likely around the corner. He enrolled on July 1, 1952 (Campbell is big on exact dates). Rex Campbell still teaches one class per semester at the Gaines/Oldham Black Culture Center. The … Expand ▸Rex Campbell still teaches one class per semester at the Gaines/Oldham Black Culture Center. The name of the rural sociology-based course is “Leadership in Today’s World.” Photo by Nate Compton. Before Campbell could be sent off to the Korean War, he had to receive some training in Camp Chaffee, located in Fort Smith, Arkansas. He had a car and so on the weekends he and some fellow trainees would head up to the college town of Fayetteville, Arkansas, the home of the University of Arkansas. 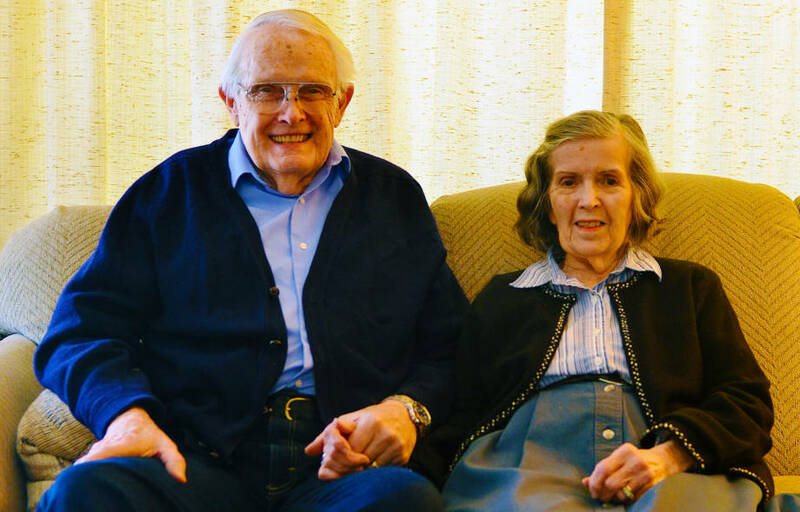 In the fall of 1952, Campbell was coming back with a date who was a member of the Delta Gamma sorority when he first saw Mary Higgins, his date’s roommate. Mary was from Hot Springs, Arkansas, where her father owned a gas station. She grew up in a classic Southern house that had a porch that wrapped around on three sides. Shortly after Rex and Mary met, they started dating before Rex had to take “a long boat ride” bound for Korea in late November of 1952. Mary went on to graduate from Arkansas in 1953 and begin her career as an elementary school teacher in Hot Springs, while Rex served overseas as a member of the artillery squad. Rex’s last day in the Army was June 30, 1954. “They had me scheduled to the date. When I hit the shoreline, my enlistment was over,” he says. After heading back to his family’s house in Barton County, Campbell found out about a job with MU Extension based in Kirksville, Missouri, that would involve half of his time working with 4-H clubs and other similar organizations and half with promoting farm management practices. He started on Oct. 1, 1954 — with Mary still teaching in Arkansas they would get married a year later. He went back to Columbia in the summers to work on his master’s in agricultural extension. Eventually the Campbells’ path lead back to Columbia in 1958. 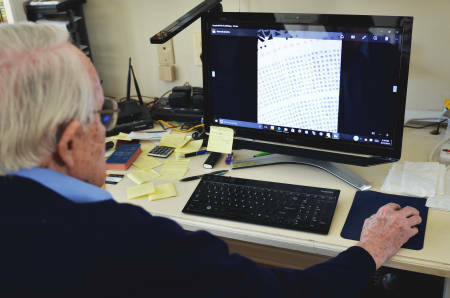 He finished his master’s degree in 1959, before becoming an instructor in rural sociology in 1960 while working on his doctorate’s degree, which he earned in 1965. At first Columbia’s political scene represented a formidable challenge to Campbell, when he joined the city’s planning and zoning commission in 1974. “I just thought it would be nice to see if I could. I’m very immodest. If there’s a challenge, I’ll step right in,” he says with a laugh, about jumping into politics. He would serve on that commission for six years before taking a seat as a fourth ward representative of the Columbia City Council for 12 years from 1989 to 2001. He also served 15 years on the Board of Adjustment, and currently still retains the position of being an adjunct member on the board. Campbell also served on the MU Faculty Council from 1999 to 2006. Knowing that the relationship between MU and the city had “always been somewhat strained,” he saw that he could help pull the two sides closer together. “It was unusual for someone like Rex to come forward and participate, but Rex demonstrated how valuable the faculty members or any other university representatives can be to this community,” says Darwin Hindman. 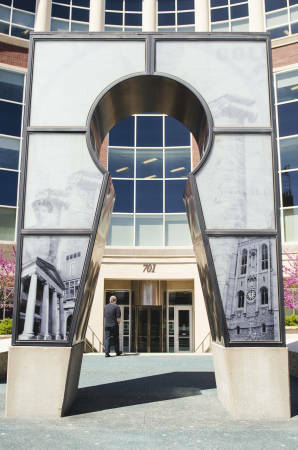 The “Keys to the City” sculpture that sits in front of Columbia’s City Hall … Expand ▸The “Keys to the City” sculpture that sits in front of Columbia’s City Hall building was made possible through The Percent for Art program, which Rex Campbell helped start while on City Council. “Today that has almost become a symbol for the city,” former mayor Darwin Hindman says of the sculpture. Photo by Nate Compton. Talking about his relationship with Campbell, Brady Deaton’s mind pictures the large annual maps of Missouri that Campbell would create, showing a detailed breakdown of the gradual shift in population, as people moved from the northern part of the state to the south. Deaton always kept them in his office, including when he was chancellor. Deaton and Campbell first met at a conference that centered on rural urban linkages in Racine, Wisconsin, in the ’80s. At the time, Deaton worked at Virginia Tech, while Campbell was one of several well-known and well-published sociologists from MU, along with Daryl Hobbs and Bill Heffernan. Deaton had just finished a presentation at the conference when Campbell came up to him to talk about matters relating to Missouri. 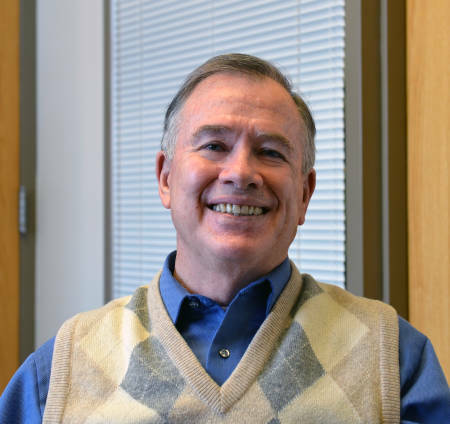 It would be the first of many chats on the subject between the two, when Deaton came to MU as the chair of what is now the Department of the Agricultural and Applied Economics in 1989. Rex Campbell has taught his “Leadership in Today’s World” course at the Gaines/Oldham Black Culture Center since the building opened up in 1998. In Campbell’s class, he does not give traditional tests. Instead, students give a 25-minute presentation on a chosen topic and then later write a second paper at the end of the course that includes the 10 main takeaways and what it means to their lives. 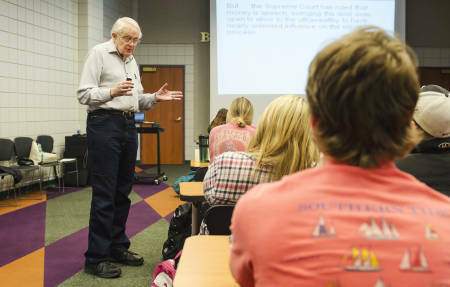 He has taught close to four-fifths of all the classes in rural sociology at one point or the other and created approximately 20 of them on his own. 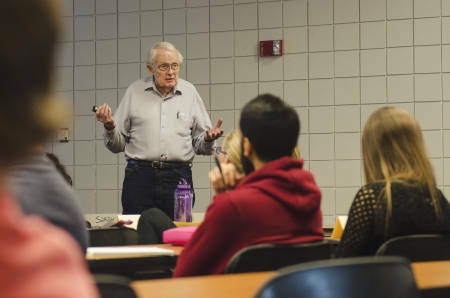 He has won a long list of teaching awards, but the one he treasures the most is being named a William T. Kemper Fellow for Teaching Excellence in 1999, when Deaton, serving as chancellor at the time, surprised him in his classroom at the GOBCC. Part of his philosophy on undergraduate teaching is that “each student is a unique individual with unique talents and experiences. It is my job to help them sort out and enhance their unique qualities.” Such a mentality has also helped Campbell become a nationally and internationally acclaimed art appraiser, particularly of Chinese and Japanese art. It’s a hobby he started 29 years ago as another outlet for his curiosity. “I’m always interested in learning anything new and that gave me an excuse to learn something new,” he says. Rex and Mary share a joint passion for art of all kinds. Mary served as a volunteer at the gift shop at the MU Museum of Art and Archeology for many years. As Rex finishes up telling his story, the attention shifts to Mary, a woman of few words, but many laughs. She declines the opportunity to describe her husband to those who have never crossed his path. Rex is quick to describe his wife, though, to the outside world. “The one thing that my wife has in large quantities is patience,” he begins as Mary to starts laugh a little louder than normal.